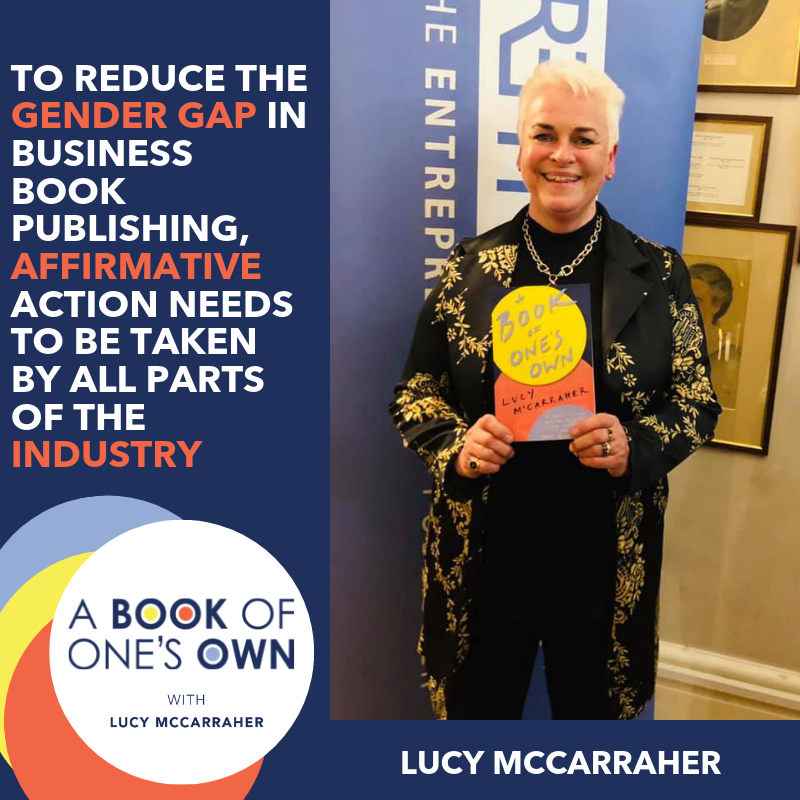 The lack of female representation in the winners of the first Business Book Awards led Lucy McCarraher on a journey to unpack the gender gap in business book publishing. What is holding women back from writing and publishing their business books? How can we close the gap and encourage women to share their expertise? 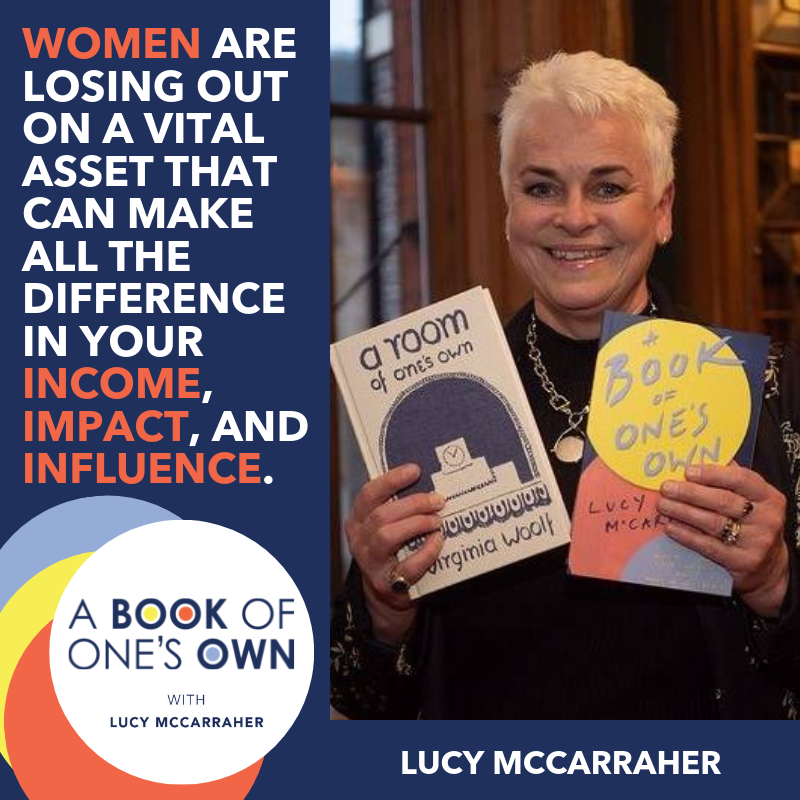 In this bonus episode, Lucy provides some troubling statistics, shares how the Business Book Awards got proactive about representation and fills you in on her mission to get 50 more women to write their book this year. Will you join the challenge? In order for your book to be as valuable an asset as possible, you must position it perfectly before publishing. It’s imperative that you take the time to plan its alignment with your business and target market. Luckily, Lucy has an exact model for you to follow and she is sharing it with you today. You’ll hear the details of her P.L.A.N. method and the precise action steps you need to take to position your book. 02:00 – What is the P.L.AN. method? Impostor Syndrome is a pervasive phenomenon that leads you to doubt your abilities and accomplishments. 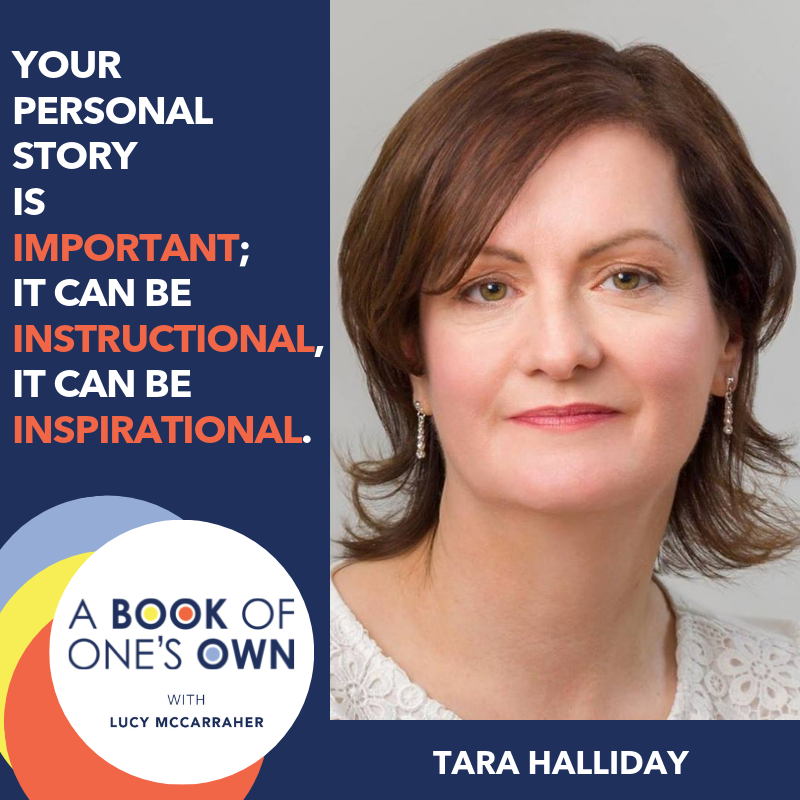 Tara Halliday’s book UNMASKING: The Coach’s Guide to Impostor Syndrome unpacks the realities of Impostor Syndrome and teaches coaches how to help their clients through feelings of insecurity. 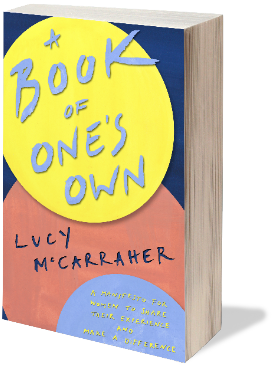 Today Tara joins Lucy to discuss self-sabotage, fear, and the value of writing. With a Ph.D. in engineering and two decades of experience working as a therapist and coach, she brings a unique perspective about what’s holding you back — and how to get over it. 08:00 – Why writing a book is valuable, even if no one reads it. 13:42 – Why women tend to write about people-oriented subjects — and why that’s okay. 18:23 – Why your book is a gift, and your story is valuable. 20:54 – How an accountability partner can help your writing process. 29:09 – The benefits of writing a business book. As an aspiring entrepreneurial author, it’s important for you to have the tools to get through the writing process without being sidetracked, losing confidence, or giving up. 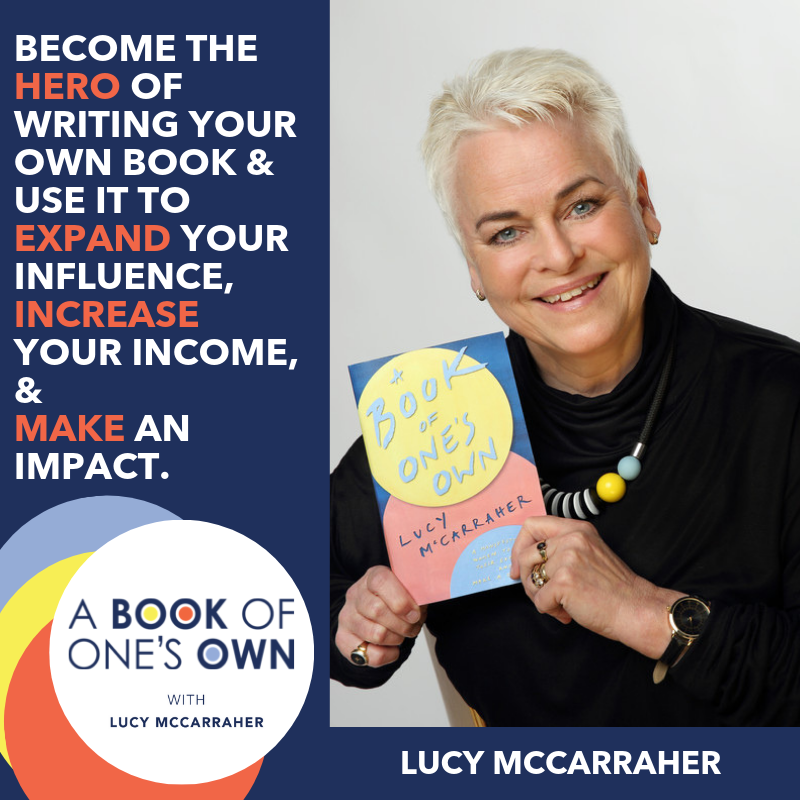 As Lucy was writing A Book of One’s Own and unpacking her interviews with women entrepreneurs, she got to know ten women archetypes. These archetypes can either distract you from your goal or help you plan, write, and publish your book. Today Lucy introduces you to the archetypes, teaches you how to spot them, and shows you how to call upon your female superpowers. What if you could have financial capital and an engaged audience behind your book before it’s published? Jane Frankland joins Lucy to discuss how she harnessed the power of crowdfunding to validate her idea and gain visibility before ever releasing InSecurity: Why a Failure to Attract and Retain Women in Cybersecurity is Making Us All Less Safe. Hear how this cybersecurity consultant and entrepreneur generated buzz and got booked for speaking engagements while writing to challenge the status quo in a male-dominated field. You don’t want to miss this episode about Jane’s unique path to authorship. 02:31 – Jane’s approach to turning one report into a fully-researched, science-backed book. 08:45 – How Jane transitioned from speaking for free to getting paid for her appearances. 13:48 – How Jane got paid for her book — before it was ever written! 17:41 – How Jane got her family’s blessing to write her book. 19:37 – The important conversations Jane’s book is starting in her industry. 24:43 – The ritual that helped her stay on track. 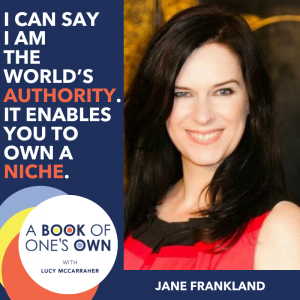 30:58 – Jane’s tips to write your own business book. Fewer women than men are doing the one thing that can automatically increase credibility, income, and reach: writing a book. 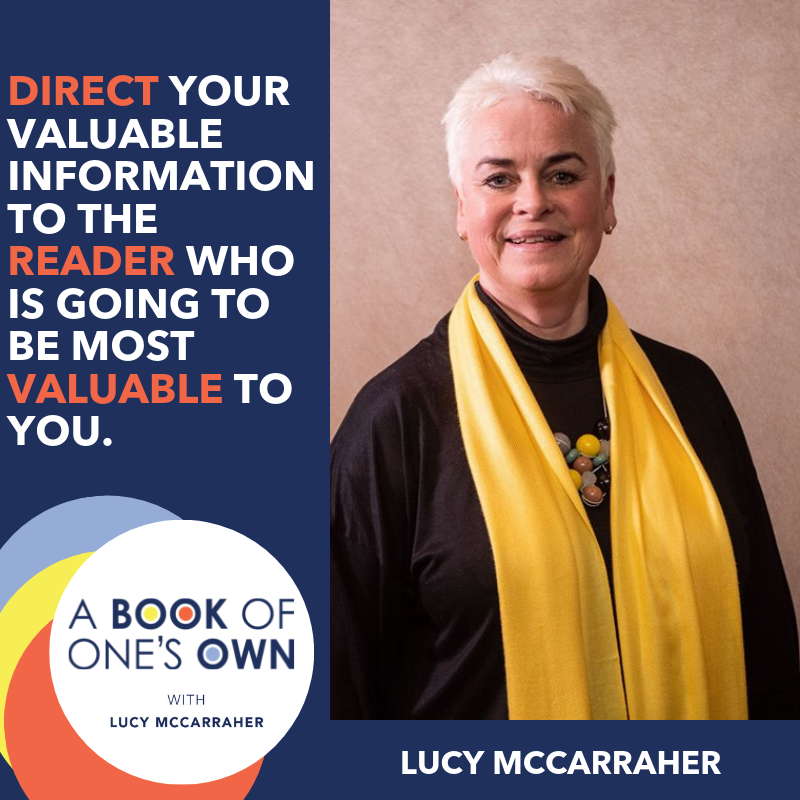 Lucy McCarraher is an author, mentor, publisher, and speaker. She is on a mission to inspire more women entrepreneurs to write their business book and claim their authority. Today she reveals the 6 C’s that discourage women from writing and the five reasons they must push through their self-doubt and get their book published. Can Women Authors Challenge Unconscious Bias? Why do only half as many women entrepreneurs write and publish their business book as men? Maybe for the same reasons that fewer women than men start their own businesses: they have less confidence in their own abilities, are more risk averse, and have to factor in caring responsibilities. They are also taken less seriously by organisations like banks, funders and publishers, and lack role models, mentors and networks. I founded the Business Book Awards (www.businessbookawards.co.uk) in 2017. I brought together an eminent Judging Panel of equal male and female business experts, authors and publishers with a female Head Judge, Alison Jones. When the rigorous judging process was completed, every category winner and the overall winner of the first Business Book of the Year was a white male author. Of the 150 books entered, from big and small publishers and self-published authors, one third were written by women. Slightly less than a third of women authors made it through to the shortlist and not one to the line-up of eleven winners. The Club – women lack the role models, mentors and networks that men automatically have access to. They don’t know where to get support and are nervous of ‘putting themselves out there’. But I also found positive ways in which women can reframe their feelings of Impostor Syndrome and reluctance to ‘put themselves out there’. Women need to realise it’s not selfish to invest time and money in writing and publishing their book; it’s more selfish to withhold their knowledge and experience that could help their readers and their market, make their business more secure for their colleagues, and make their families proud of them. 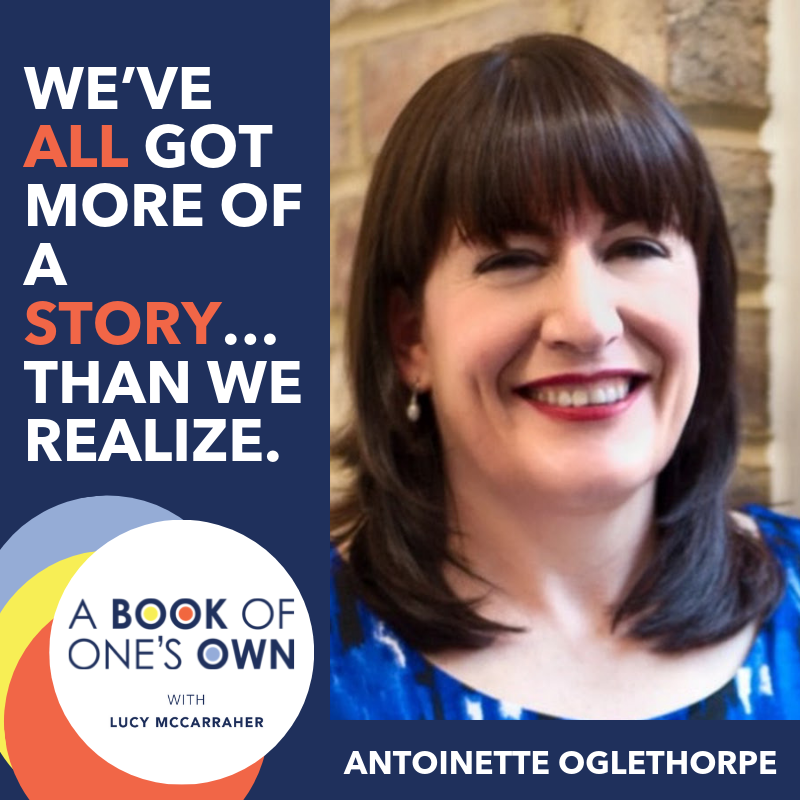 A Book of One’s Own – a manifesto for women to share their experience and make a difference launches on 8th March 2019 (International Women’s Day).